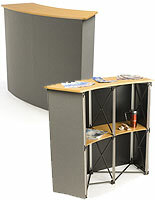 Black expo counter top constructed from MDF for portability! 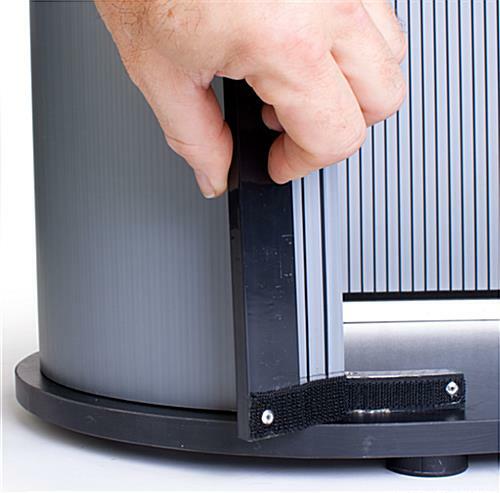 Wrap-around Velcro® attachment assembly for quick & easy setup! Expo counter easily breaks down into two included carrying cases! 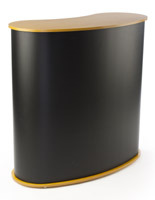 Corrugated plastic sidewalls are lightweight but sturdy! 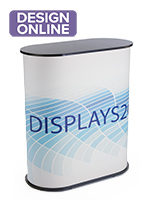 This expo counter that stands 41" tall is perfect for offering free samples, promotional literature, an interactive workstation and more! 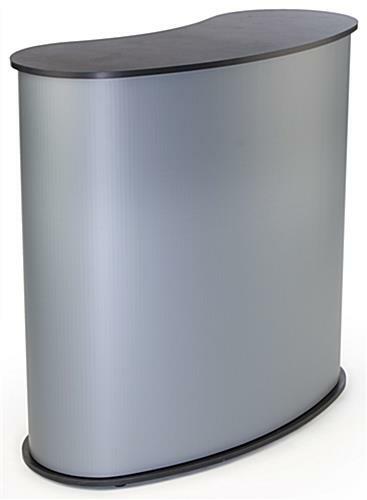 The event furniture is a valuable piece for businesses that often travel to trade shows, on-site appearances, conventions or large business meetings. 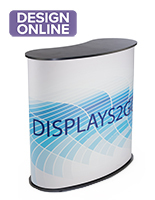 The expo counter that can be used to hold promotional materials, also known as a portable stand, can be used to conduct a product demonstration, as well. 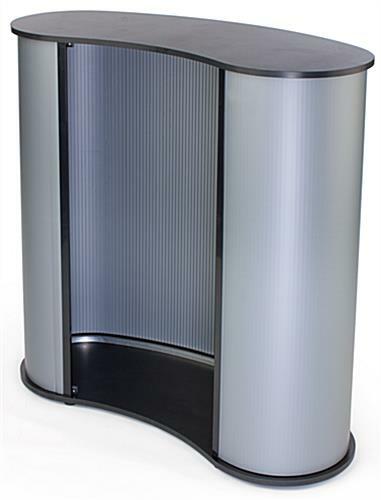 This unit is easy to setup and breakdown, making it perfect for traveling businesspersons. 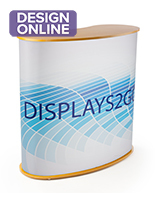 This event stand, expo counter that offers a place for interaction between buyer and seller is crafted from corrugated plastic and MDF (medium-density fiberboard). This construction is lightweight and lends itself to easy transport, but also has the durability necessary for a unit that will be setup and broken down often. 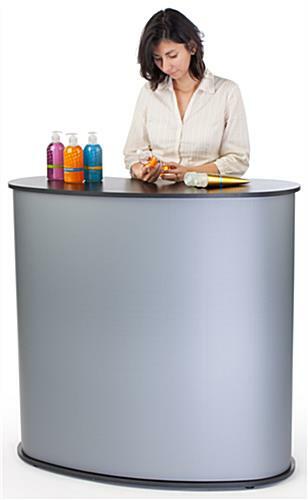 The satin gray expo counter features a black countertop and base so it coordinates with many different settings, venues or existing trade show booths or accessories. 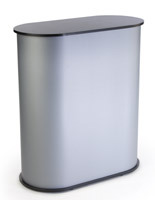 The event display features a kidney-bean shape to accommodate a person behind it. Two padded fabric carrying cases with handles are included.